Backtracks lets you focus on your content. Our modern, easy to use, and performant platform helps your stories mean business. Get the world's most detailed and actionable set of podcast analytics built on Backtracks' open source OPA standard. Podcast publishers, listening apps, aggregators, ad networks, etc. can finally know, understand, and even predict their audience's listening and consumption behavior across native mobile apps, on the web, etc. Use Backtracks' beautiful customizable and responsive embeddable audio player. Our modern, fast, flexible, and feature-rich player is equally at home on a desktop, laptop, tablet, or mobile device and matches your branding. Backtracks makes it easy to host media files with unlimited bandwidth and storage. It only takes a few minutes to get started with a new or existing podcast. 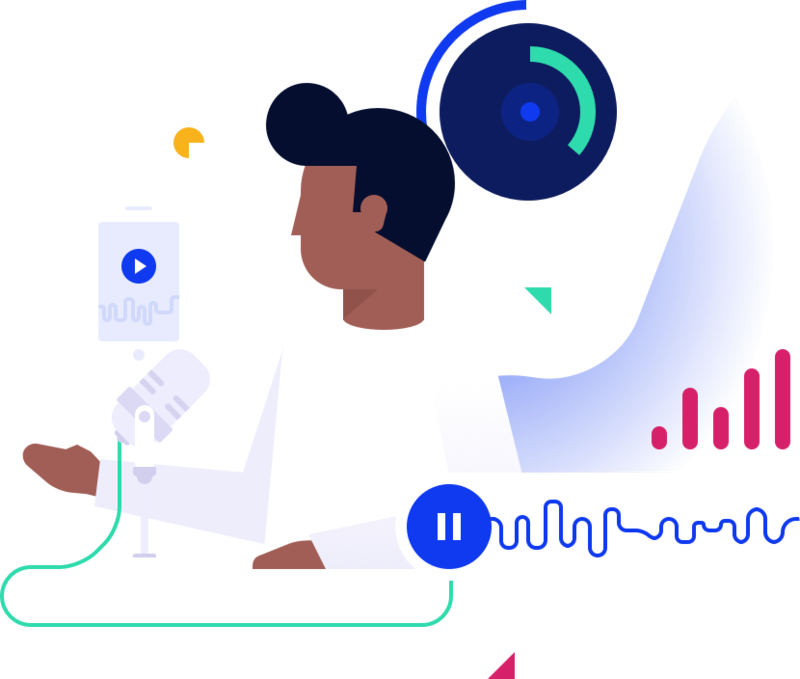 Backtracks has a globally distributed media specific cache and content delivery network optimized for podcasts and audio files. Files and audio are served from the fastest location for your users using the optimal format for their device or browser automatically. Leverage our rich set of REST APIs and platform SDKs to integrate with and extend Backtracks into your existing and new systems and workflows. Built by developers for developers. Backtracks is built for big data and scale. Whether you're just getting started or have established properties with millions of listens, Backtracks' is ready for every stage of your evolution with a highly-available world-wide infrastructure and advanced features to like SSO, team permissions, and more. Let's talk. Tell us your story.